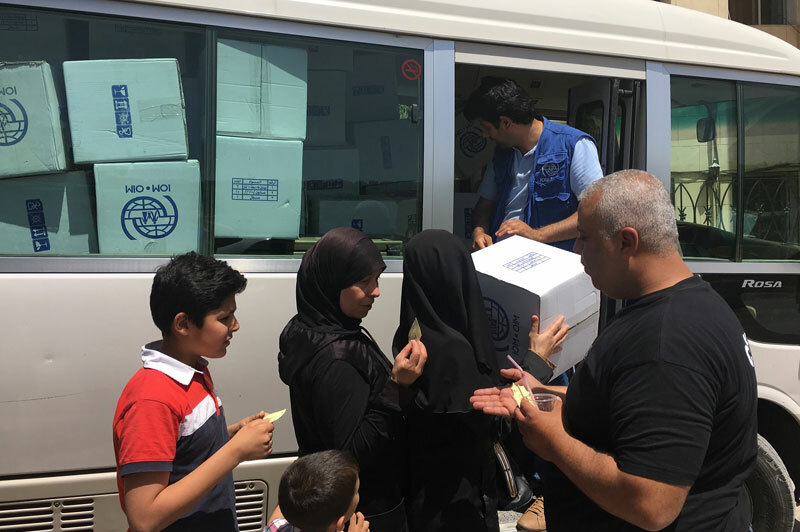 Geneva – Between January and July 2017, 602,759 displaced Syrians returned home according to reports from IOM, the UN Migration Agency, and implementing partners on the ground. Findings indicate that the vast majority of the people (93 per cent) returning had been displaced within Syria. 7 per cent of people returned from Turkey, Lebanon, Jordan and Iraq. Returnees from Turkey and Jordan reportedly returned mainly to Aleppo and Al Hasakeh Governorates. An estimated 27 per cent of the returnees stated that they did so to protect their assets or properties and 25 per cent referred to the improved economic situation in their area of origin. Other factors people gave IOM and partners as their reasons for returning included the worsening economic situation in the place where they were seeking refuge (14 per cent), social or cultural issues such as tribal links, political affiliations or any obstacle preventing integration in their area of displacement (11 per cent), and the improvement of the security situation in their area of return (11 per cent). Half of all returns in 2016 were to Aleppo Governorate. The report shows that similar trends have been observed in 2017. Consequently, an estimated 67 per cent of the returnees returned to Aleppo Governorate (405,420 individuals), 27,620 to Idleb Governorate, and 75,209 to Hama Governorate, 45,300 to Ar-Raqqa Governorate, 21,346 to Rural Damascus and 27,861 to other governorates. Within the Governorates mentioned, Aleppo city, received the most returnees, followed by Al Bab sub-district in Aleppo Governorate, Hama sub-district in Hama Governorate, Menbij sub-district in the northeast of Aleppo Governorate, and Al-Khafsa sub-district also in Aleppo Governorate. According to reports, almost all (97 per cent) returned to their own house, 1.8 per cent are living with hosts, 1.4 per cent in abandoned houses, 0.14 per cent in informal settlements and 0.03 per cent in rented accommodation. Access of returnees to food and household items is 83 per cent and 80 per cent respectively. Access to water (41 per cent) and health services (39 per cent) is dangerously low as the country’s infrastructure has been extremely damaged by the conflict. The report indicates that an increasing number of Syrians displaced within the country appear to be returning home. The total figure by end of July this year was already close to the 685,662 returns identified in the whole of 2016. However, of those returnees, an estimated 20,752 and 21,045 were displaced again in 2016 and 2017 respectively. This means that around 10 per cent of those who returned ended up as internally displaced persons (IDPs) once again. While trends of returns increase, Syria continues to witness high rates of displacement. From January to July 2017, an estimated 808,661 people were displaced, many for the second or third time, and over 6 million in total currently remain displaced within the country. IDP returns have mainly been spontaneous but not necessarily voluntary, safe or sustainable. As such, they cannot, at present, be considered within the context of a durable solutions framework. Find out more about this at: https://www.iom.int/progressive-resolution-displacement-situations. 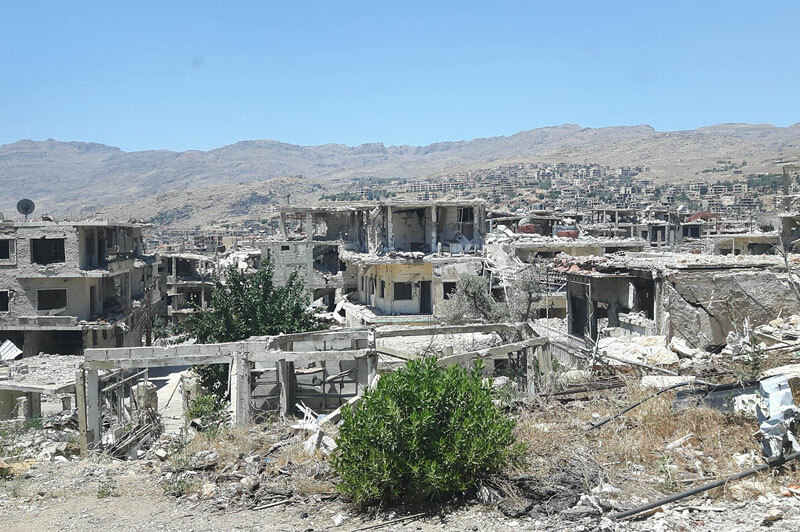 These data have been collected by IOM’s implementing partners, who use a set of tools and methods to identify, assess and monitor different population categories throughout Syria, in relation to needs and mobility dynamics at a community level.